NowForce offers personal safety apps, cloud-based computer aided dispatch, and mobile response tools for campus security, private security, and public safety organizations, enabling reduced response times, full situational awareness, and enhanced communications. 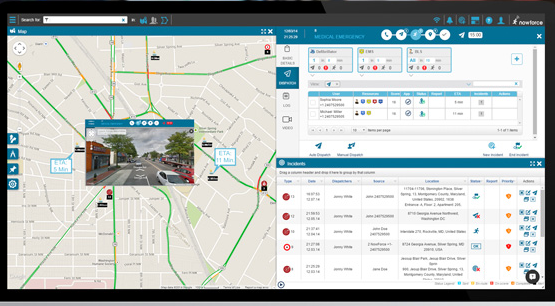 Our emergency response software and apps make it simple for agencies to locate personnel and people in distress and dispatch the closest available responder to any incident. Great solution for emergency organizations! Comments: The system is powerful for a large organization but can be used in small organizations due to the affordability. Overall we have been exceptionally happy with the system.